This is the second article in a three part series on applying for credit card bonuses aka App O Rama(AOR). In the first part, I talked about how to prepare for your first App O Rama, the potential benefits and the impact to your credit score. Once you’ve determined your credit health, it’s time to do a little more research into what cards you want to get. I usually look for offers that will give me 50,000 points or more. Although most of these 50,000 points aren’t advertised very well, they are out there. I’d say there are probably about 20-25 sign up bonus offers out there as of today that offer 50,000 points or more. Some of these cards can even be churned, meaning that you can sign up for them multiple times and get the bonuses multiple times as you’ll see below. Generally 1,000 points can be redeemed for $10 cash or $10 in gift cards. So anytime you can cash out 1 point for 1 cent you’re at about the average redemption rate. A lot of bloggers and forum posters refer to the redemption rates in terms of cents per point so anytime you see a redemption rate of 2-3 cents per point, you know you’re looking at a great redemption rate. If you’re looking to redeem your points for cash, you will rarely be able to redeem for better than 1 point to 1 cent. But if you’re willing to redeem for airfare or hotel stays, that’s where you can really boost your redemption rate. One of my first redemptions was two years ago on my trip to Maui when I paid for two first class tickets to Hawaii($3,000 value) with 150,000 points. I was able to get 2 cents per point on that redemption but it’s all relative since I never would have paid for first class tickets in the first place. Normally, I travel in coach, unless I get to pay with points. I think it was only 25,000 more points per person to upgrade from coach to first class so I did it! So even though I got a $3,000 value from my points, it wasn’t a true $3,000 value since I never would have paid that much in the first place. There is a wealth of information out there when it comes to travel hacking(or credit card churning as I like to call it). Everything from blogs to forums will post all the latest offers but it is a lot of information to digest when you’re first getting started. If you’re new to the credit card bonus scene, I’d start off reading a blog like The Points Guy or Boarding Area. There you’ll find all of the latest travel news, credit card offers, etc in a concise and simple format. My main resource for finding credit card deals though is the FlyerTalk Forums. The credit card programs thread has a list of all the newest offers available and before any App O Rama I always consult this thread to see which cards I want to apply for. Since I’m also on Slickdeals a lot, I’ll find a new deal there once in a while but there’s nothing on Slickdeals that won’t be on FlyerTalk. Which Offers Should You Focus On? If you’re going for cash back, then picking the best offers is pretty simple. But if you’re looking to redeem for travel related benefits, it gets a little trickier. Applying for cards is the easy part, but knowing how and when to use the rewards is what takes some real expertise. Since award availability is generally limited, if you’re looking to travel during peak season you’re going to have a lot of trouble booking rewards within 6 months of your travel date. But if you’re the type that has a flexible schedule or summers off, then travel reward may be perfect for you. I’ve found it’s a lot more difficult to book flights than hotels so a good strategy for some of you may be to go for the cash back offers to pay for flights and the hotel cards to pay for hotels. If you’re just starting though I think the best strategy is to go for the cards that have the best transfer options like Amex Membership Rewards and Chase Ultimate Rewards. Amex and Chase have a ton of airline and hotel transfer partners so you’ll have more flexibility redemption-wise. Personally, I go for a mix of cash back, airline and hotel cards. In this App O Rama I was more concerned with finding the best offers and less concerned with what I was going to spend it on though. I have a honeymoon coming up so I’m trying to rack up as many points as possible in an attempt to get all of our airfare and hotels paid for over 2 weeks in Italy and Greece, we’ll see how it goes. I ended up applying for this card as part of my AOR since it basically had no spend requirement. The 10k bonus on the 1 year anniversary is pretty nice too since I plan on canceling the card after I get the 10k point bonus in order to avoid the annual fee. In addition, since US Airways and American Airlines are likely to merge, if I don’t use these points in the next year, they will most likely be combined with my AA points. Basically, I want to capitalize on as many US Airways offers right now while I can since they won’t be around for much longer. I’ve had pretty good luck redeeming AA points(like with my Hawaii trip) so I consider them pretty valuable. If you book during the right time, you can actually get a flight from the west coast to Hawaii round-trip for only 30k points. I like this card because I don’t have many United miles and the spend requirement was so low. The 55k bonus is a good offer and the $50 SC makes it even better. I don’t have any trips planned on United but they are a transfer partner of Chase Ultimate Rewards so if I needed more points on United for two flights(for my fiancee and I) I could transfer points from Chase to United at a 1:1 ratio. The Chase Ink Bold/Plus cards have been around for a while and I kind of missed the boat on them when they first came out so I felt like I had to get in on this one. The 50k bonus might seem comparable to the other offers but Chase points are some of the most valuable in my estimation since they have a ton of great transfer partners(1:1 ratio) and you also get a 20% bonus on point redemption for travel related purchases. For example, 50,000 points is worth $625 in travel rewards. This card is probably the best one out of all five in my opinion. This is the exact same card as the one above but the business version. The spend requirements were a little higher but you could get a $150 SC on AA purchases and 4 Admirals Club Passes. In this AOR I ended up choosing mainly airline cards because I have some big tickets to purchase in the next year but the Chase UR points are very valuable since I can redeem for so many different options. In the third and final part of this series, I’ll talk about the application process: which cards I applied for and in which order and how I plan on meeting the spending bonuses. If you don’t feel like adding it up, I have to spend 13.5k in just 4 months so stay tuned to see how I plan on accomplishing that feat. Readers, what do you think of the cards I chose to apply for? Do you think 5 is too many for one round of applications or should I have chose more? Nice Jacob, do you guys use Amazon Payments? I hardly consider it manufactured spending since it’s sooo easy to transfer A to B and then withdraw from B to bank account. In my next article, I’ll talk all about manufactured spending so stay tuned. As for your strategy, it sounds perfect. The key is moderation and although 5 may seem like a lot it was really my first round in 6-9 months. I love Chase UR points b/c of the transfer partners and Amex MR points are also awesome for the same reason. Once you get in on the amex MR points you can also wait for a transfer bonus to BA, they seem to have them all the time. BA and AA are the best for short haul flights! I love this game too! Great Read. Additionally, I’m finding that you can “downgrade” some of these cards rather than cancel. That’s what I did for the US Airways card. It’s now a “Barclays card”. I also did that for a citi card that had a crazy annual fee. I’m not sure what manufactured spending is though. I’ll be curious to read your article on that. What are your top 3 favorite credit cards to use in general? Yes that’s a good point. I didn’t know you could downgrade the US Airways card, I’ll have to try that when my year comes up. Did you get the anniversary points and then downgrade? I’m always trying to hit different spending req’s so I’m always using different cards, but if I had to pick a top 3 I’d probably go with Amex Gold, Chase Ink/Bold and one of my Southwest cards. I got the anniversary points for the first year, but I’m not sure if I got them the second year. Long story short, I kept the card open last year because I knew the companion passes would come in handy for my friends bachelor party in Vegas. In order to get the best deal on a flight for me and two of the other guest, I ordered 3 tickets on the card (1 at full price, 2 companions, and the annual fee). I told my friends I was adding that fee in, and they were cool with it. I divided the cost by 3, and we ended up paying 252.00 per person round trip… Hands down the best deal. You also get to cut certain lines, preferred boarding. It comes in handy when airport is super crowded. However, I only think the annual fee on this card is worth it if you constantly have a trip where you’re taking 2 people with you. I did the math for one person and it wasn’t worth it because the initial ticket was so expensive. US Airways is sky high. When I went to close the account, I didn’t think they had an option to downgrade. I told them how I loved the service and that the fee just wasn’t worth it for me. That’s when they offered the option to convert/downgrade. I hate closing cards so I was happy about the idea. I also downgraded my Chase Sapphire Preferred. I never had Chase Ink nor a Southwest card, I will have to look into those for sure!!!. I had Amex Gold and closed it down due to the fee. I went towards Amex Blue Cash because I didn’t see much distinction between the Gold and Blue. I’m actually thinking about converting my blue cash over to a Blue Cash Preferred (it does have an annual fee) to get 6% back on groceries . 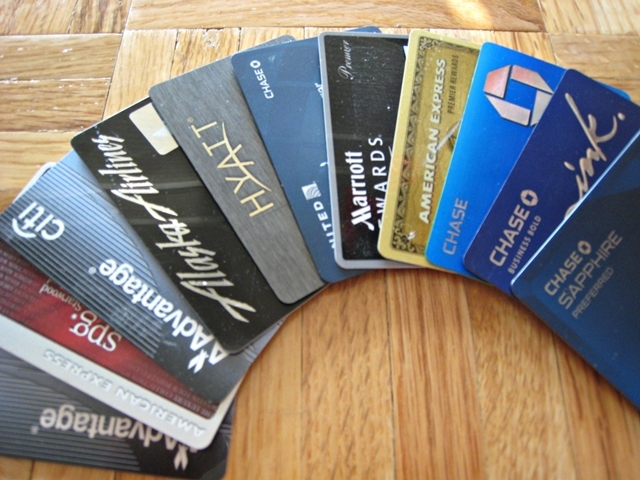 My top everyday cards are Amex Blue, Citiforward, and Chase Sapphire. Right now, I’ve been spending a lot of time using the Amex Starwood card. I still don’t understand how it works (in terms of seriously maximizing with the points). Yea I’ve found companion passes are usually not worth it since you have to buy an overpriced ticket just to get a free one. I absolutely love the SW cards(plus and premier), even though you have to pay the AF the first year, you get it back in pts at the end of the first year and you can always cancel after you get the points so that’s essentially a wash. The real benefit comes though when you sign up for 2 cards and spend 10k to get the companion pass. That earns you 110,000 miles for 2 cards(good for $1500+ in SW travel) x 2 if you fly with a companion. Best benefit in the industry right now imo. My first 10k pts for my Amex SPG posted instantly after my first purchase, that was pretty cool. I think all you need to know is the best redemption rates are cash & points..